So if you’re reading this the day it’s posted, you may see lots of people walking around like they head-butted a fingerprinting kit, and hear them talk about all the evil things they’re going to renounce for the next 40 days or so, like chocolate and swearing. You know, the good things in life. Yes, for Christians it’s Ash Wednesday, the beginning of Lent, and let the hair shirt-wearing begin. Don’t worry, this post does have a lot to do with becoming a recovering lawyer, so bear with me. What can you do to feed your inner caterpillar, to prepare for transformation? You might be able to tell I’m not a fan of Lent, or at least how many practice it. It makes me grouchy, all this self-flagellation and focus on how broken and terrible humanity is. When you focus on your flaws, you give them energy. I have yet to see enough positive, lasting results from that to make me think it’s worth it. Regardless of your spiritual beliefs, maybe you can embrace this spirit of Lent, too. Maybe it’s time to prepare for your transformation from unhappy lawyer to empowered artist, entrepreneur, or whatever else your heart really desires. “You will see it when you believe it,” the saying goes. Lots of research bears it out: We selectively view the events in our world through the lens of our existing belief system. That’s why so many of you have such a hard time with the idea that you can, really, do what you want for a living. For whatever reason, you can’t believe it’s as simple as doing what you truly like, enjoy and are good at. So opportunities for new directions that stare you in the face go unseen for what they are. Or you see them, but not believing they’re real, you treat them like ghosts and let them pass you by. Here’s my challenge to you: Spend 40 days getting ready to change. 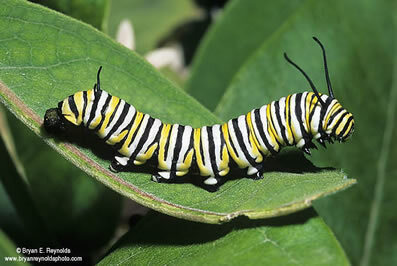 Be like the caterpillar, seeking out and devouring everything around you that can feed your upcoming transformation. Figure out what really, truly sustains you, rather than distracts you from your misery. Embrace what gives you joy, large and small. Just like the caterpillar, deep inside you know what you’re meant to do. So don’t worry about that just yet. Worry about giving yourself enough nourishment so you can transform into a butterfly, when it’s time. If you’re not sure what you need to feed yourself, you can always give me a call. Jennifer Alvey is a recovering lawyer who probably ate a few too many carbs at this year’s Pancake Supper. She coaches unhappy attorneys on how to feed their spirits so they can grow, change and thrive. For a limited time, she’s offering a six-week intensive coaching package to get you on the road to transformation. You can set yours up by emailing jalvey@jenniferalvey.com today.